Lovely, maggot-hallucination-ridden Folkstone, North Carolina. Camp Lejeune right next door. Nutty things happen near military bases. Particularly Marine bases, probably. Anyway, as Xfiles20yearslater’s south-east correspondent, it is my duty to discuss this episode since it is set in the great state and one of the original 13 colonies. Amanda has long familial ties here as well. We are all North Carolina loyalists here at Xfiles20yearslater. We’re also the first to admit that there is some crazy magic up in here. We don’t need any imported voodoo to have some nutty things happen in the Superior Carolina. We’ve got about all we can handle. 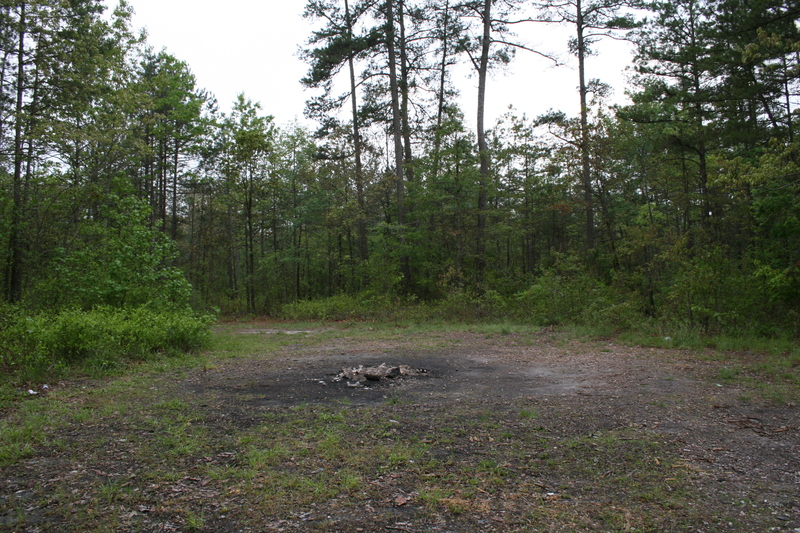 There is a place, about 40 miles from where I live, called the Devil’s Tramping Ground. It is a circle in the woods upon which nothing will grow. It is suspected that this is because the devil tromps around it when no one is looking. It looks a bit like a bonfire pit. BUT IT’S NOT. It’s demons or something, y’all. This state is filled with stories about crazy things happening at the hands of supernatural forces. Take the Lost Colony at Roanoke Island, for instance. It was the first English colony in the New World. It didn’t last very long. After a failed attempt at settlement in 1585, colonists returned in 1587 to give it another go. 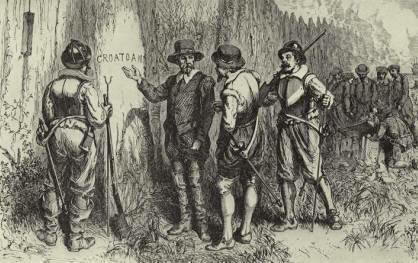 When John White left and returned again in 1590, the colony was completely gone, leaving only a tree emblazoned with a crude carving of the word “CROATOAN.” CREEPY. No one knows what “Croatoan” means. No one ever will. Actually that is not true. It likely refers to the name of an Island south of Roanoke where some English-friendly native Americans lived. John White instructed that if the settlers he left behind decided to leave Roanoke, that they carve the name of the place to which they absconded into a tree. It is like texting your friends to tell them that you went to a different bar because you were bored where they planned on finding you, but with trees and carving with knives. Anyway, it is a better story for the Lost Colony to just be lost. Scary, scary. The Outer Banks of North Carolina are host to loads of creepy stories about creepy things. Also pirates. Like, proper pirates. Like, Blackbeard. The actual Blackbeard. Edward Teach. Look him up. So, back to the X-files: the moral of this story is that this is what we get when we don’t regulate immigration properly. Voodoo. Dead marines. Crazy chicken feet stabbed through military paperwork. Obviously, we should be doing a better job at this kind of thing. Or, we should maybe not pay so much attention to ghost stories and actually pay more attention to the humans around us. Maybe immigration reform is a good idea. We should perhaps be more compassionate. If we were, folks wouldn’t do so much voodoo on us. I leave you to contemplate that with this song. Enjoy. Oh, and try not to get buried alive. That would be a total bummer.